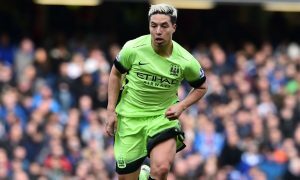 UEFA will announce on Monday that former Manchester City and Arsenal star Samir Nasri is banned from football for a year, Marca reports. The governing body opened an investigation against Nasri last year for a possible violation of the UEFA Anti-Doping Regulations, and an appeal to the Court of Arbitration for Sport (CAS) was rejected in January. And according to Marca, he has been handed a penalty of two years, reduced to one, that will prevent him from playing professional football. Nasri had a brief spell at Turkish side Antalyaspor this season before his contract was torn up in the January transfer window. Roberto Mancini’s Zenit have been showing interest, but it was La Liga club Las Palmas who were close to signing him. However, the two-time Premier League winner will now be unable to join them or anyone else before 2019 when his sanctions are confirmed.